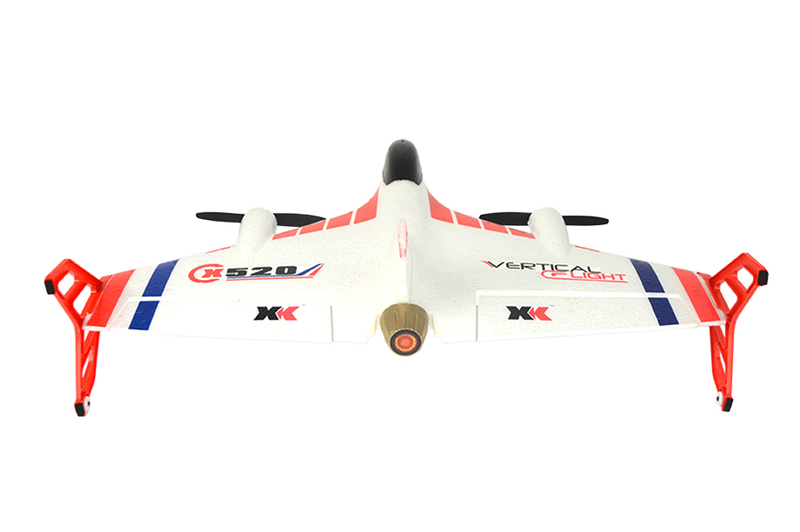 The XK X520 radio controlled plane has a brushless motors and Li-Po battery giving lots of power to perform amazing aerial stunts. 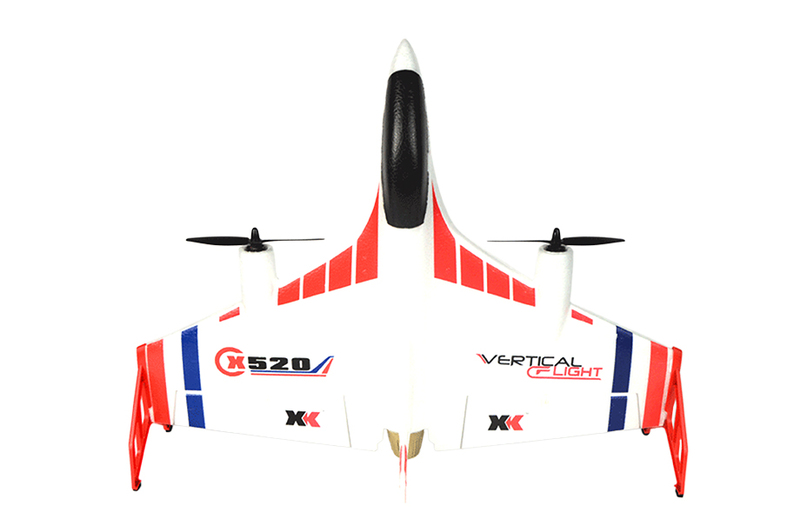 This plane has two 1307 brushless motors which send this skyward vertically like a rocket. Can take off and land vertically in small areas, multirotor versatility with sport plane agility with ability to also take off and land as a normal aircraft. Light weight and extremely durable EPP airframe. With this product, you earn 113 loyalty point(s). The XK X520 is a robust aircraft features two different flight modes making it the perfect plane for both beginners and experienced pilots. 6G mode is fully stabilized for newer fliers. in this mode, extreme pitch or roll angles are prevented allowing you to get to grips with the controls without risking a crash. The second mode, 3D, removes those restrictions, giving you ultimate control and unlocking the full power of the plane. In 3D mode, the aircraft is capable of crazy stunts such as loops and rolls. The plane is RTF (ready to fly). It has the ability to hold altitude in both flight modes keeps the aircraft flying if the pilot gets into difficulty. Light weight and extremely durable EPP airframe ideal for 3D mode. 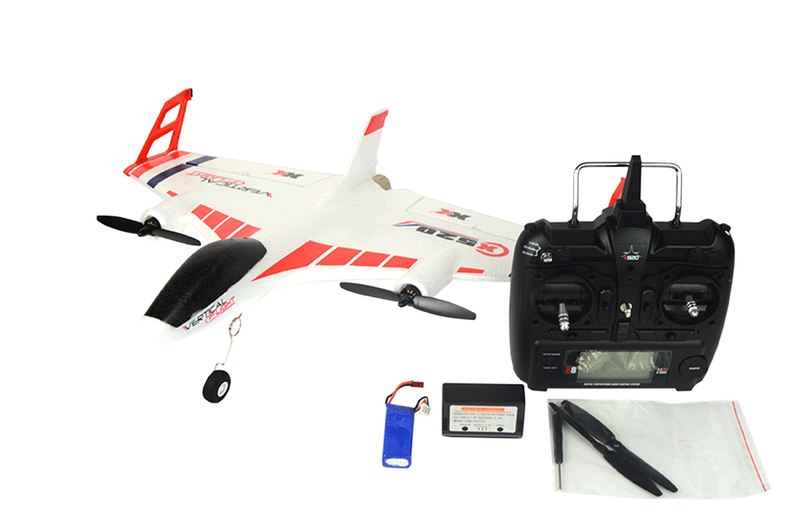 The x520, x8 Transmitter, Battery, Charger, Spare blades & Manual.